TMZ has obtained a photo of Aaron Hernandez taken on June 15 ... hours after the alleged nightclub fight with Odin Lloyd that prosecutors believe led to his murder. 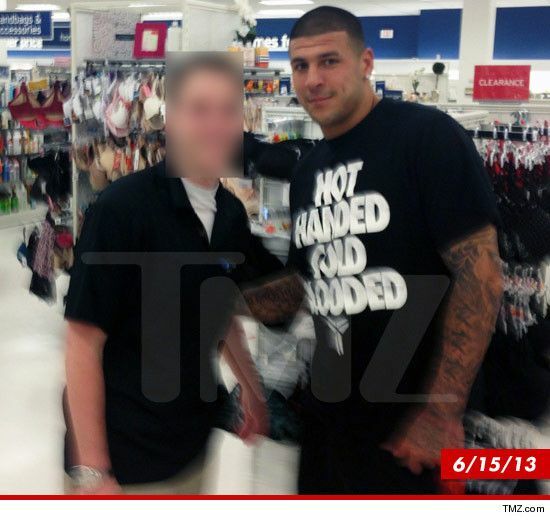 The photo of former New England Patriots tight end Aaron Hernandez was snapped at a Marshall's in Massachusetts on June 15th, two days before the shooting death of former semi-pro football player Odin Lloyd ... whom Hernandez has been charged with murdering in cold blood. 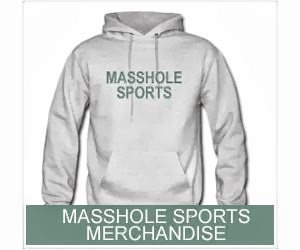 So Aaron Hernandez has been arrested and charged with murdering Odin Lloyd in cold blood and two days before the alleged incident happened he was wearing this shirt? Thats just friggin eerie. For the record, "Hot Handed Cold Blooded" is a shirt made by Nike and its a sports reference, so its not like Hernandez made a custom shirt as some sort of premonition or advertisement as to what was about to happen. But considering what we now know, you must admit it was wicked ballsy of him to wear this shirt.